Complementary degree programs and research training are important alternative tracks in medical school that typically interrupt the traditional MD curriculum. Examine effects of such a break on clinical knowledge after reentry into the MD curriculum. Three hundred and two graduates of Mayo Medical School. Compared years of delay between the second and third years of medical school with third year clerkship grades, National Board of Medical Examiner’s (NBME) Subject Examinations, and United States Medical License Exam (USMLE) Step 2. 258, 13, and 31 students spent 0, 1, or ≥3 years pursing research between the second and third year. Baseline measures of knowledge before matriculation and before the third year were similar between groups. Whereas a 1-year delay had no significant effect, a ≥3-year delay was associated with fewer clerkship honors and lower NBME Medicine, Pediatrics, and Psychiatry percentiles compared to no delay (all p < .05). Students with a ≥3-year delay had a 77% reduction in the odds of honors in Medicine. For each year of delay beyond 3, students’ third-year NBME Medicine, Neurology, Obstetrics and Gynecology, and Psychiatry scores decreased as did USMLE Step 2 scores (r = −.38 to −.50, p < .05). 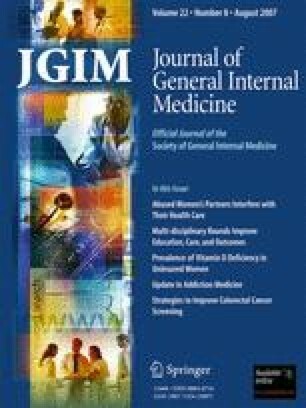 Delays of ≥3 years between the second and third years of medical school are associated with lower grades and scores on clinical knowledge tests. Further research is needed to determine the optimal timing of research training and develop effective interventions to facilitate reentry into the medical school curriculum. The authors would like to thank Tanya Hoskin from the Mayo Clinic Center for Translational Science Activities (CTSA) Service Center for assistance with statistical analysis and Dr. Tait Shanafelt, Dr. Robert Tiegs, and Dr. Darcy Reed for their feedback on earlier drafts of the manuscript. Part of this work was presented at the Association of American Medical College’s Research in Medical Education and Clerkship Directors of Internal Medicine’s Annual conferences in 2005. Investigators received salary support from institutional sources, but these sources were not involved in the design of the study; in the collection, analysis, or interpretation of data; or in the decision to submit the manuscript for publication. NIGMS. The Careers and Professional Activities of Graduates of the NIGMS Medical Scientist Training Program. http://www.nih.gov/nigms/news/reports/mstpstudy/mstp-print.html. 1998;NIH Bethesda, Maryland. Association of American Medical Colleges. Medical School Curriculum Directory http://services.aamc.org/currdir/start.cfm, accessed 3/10/2007). Association of American Medical Colleges. Facts—Applicants, Matriculants, and Graduates http://www.aamc.org/data/facts/2004/2004mcatgpa.htm, accessed 3/10/2007); 2004. United States Medical Licensing Examination. Interperting USMLE Scores. http://www.usmle.org/FAQs/faqusmlescores.htm, accessed 3/10/2007).